Why do men expire younger than women? Men are more violent, and tend to kill each other (even though chick fights are scarier), but statistically that does not account for the discrepancy in life spans. "They get what they deserve" is not scientifically verifiable. However, new research suggests the female advantage is biological, based on a basic difference in their cells. Mitochondria are intra-cellular structures that turn sugar into a chemical that is the universal fuel for all a living thing does. A billion years ago, plant and animal cells annexed bacteria for their energy-generating ability, and mitochondria, which are shaped like bacteria, are their descendants. 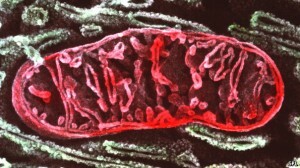 Because of this unusual history, mitochondria retain their own genes, and are not controlled by the DNA of the cell. To prevent genetic conflict between mitochondria, in most species they come from only one parent, usually the mother. Men's mitochondria cannot evolve. 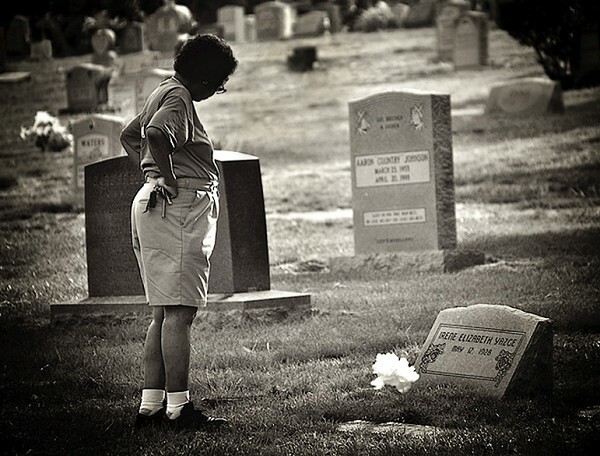 No matter how spiffy a mutation a man's mitochondria might make, it dies there. It will not be passed along to another generation. According to Dr. Madeleine Beekman, author of the study, this difference is not usually a problem for men. But there are a number of diseases, including cardiomyophathy and diabetes, that are due at least in part to faulty mitochondria, and women who inherit them are much less likely than men to be damaged by them. She speculates that greater vulnerability to these mutations might account for shorter average life spans. At the very least, it is time to look for evolutionary biological, rather that psychological or social, explanations. If middle-aged gentlemen in your life tend to favor TV over long walks on the beach, it might not be a matter of laziness and failure of imagination. They could be in a heroic struggle with their mitochondria. This entry was posted in The Magic -- The Issue by dweiss. Bookmark the permalink.